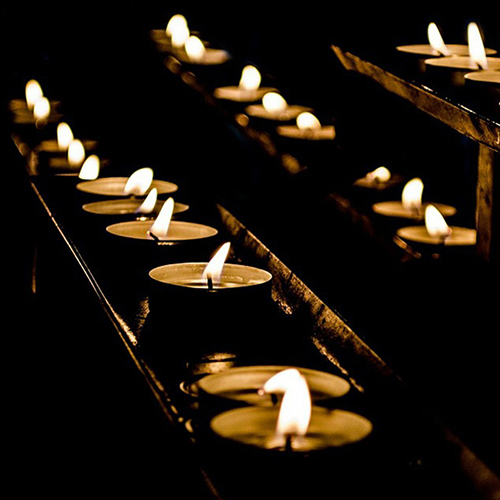 Bishop Nelson Perez will lead a memorial prayer service at 7:30 p.m. April 28 at the Cathedral of St. John the Evangelist in downtown Cleveland to remember all victims -- living and deceased -- of the Sri Lanka bombings that occurred on Easter. Members of the ecumenical and interfaith religious leadership will join Bishop Perez, along with people of the Sri Lankan community and other Catholics, to express support for the . . .
Lisa Cinadr, principal of St. Ambrose School in Brunswick, is the 2019 recipient of the Dr. Karen M. Ristau Innovations Award, presented by the National Catholic Educational Association. 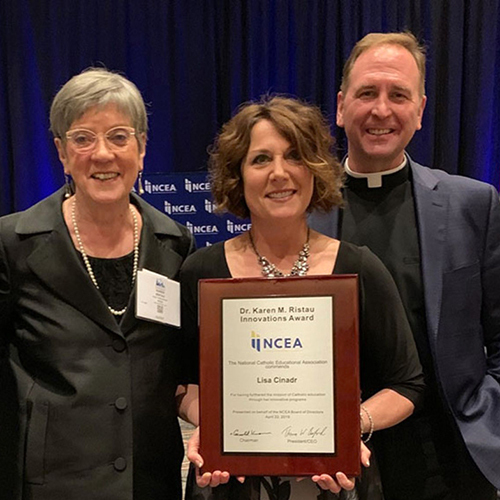 Cinadr was recognized for the award at the NCEA presidents dinner during the association’s annual conference on April 22 in Chicago, Illinois. The presidents dinner honors individuals for their dedication to Catholic education across the nation during the opening night of the weeklong conference. In the Jubilee Year 2000, St. Pope John Paul II established the feast of Divine Mercy Sunday, which is to be celebrated on the first Sunday after Easter each year. 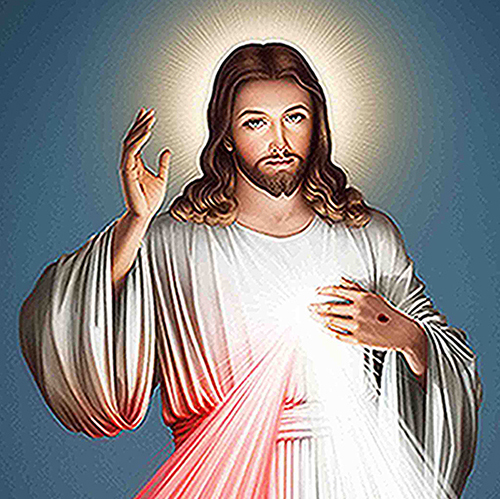 April 28 is Divine Mercy Sunday this year. The feast grew from messages Sister Maria Faustina Kowalksa, a Polish nun, received from Jesus in the 1930s – as World War II approached. According to information from the United States Conference of Catholic Bishops, St. Faustina’s Diary records 14 occasions when Jesus . . .
A sold-out crowd of more than 350 people filled Guy’s Party Centre in Akron on March 7 for the 31st annual luncheon, style show, silent auction and raffle presented by the Women’s Board of Catholic Charities of Summit County. 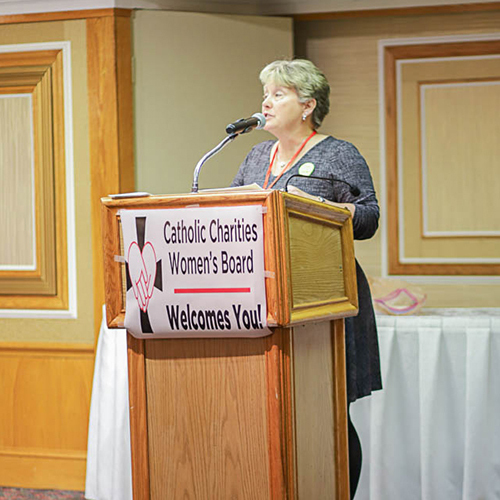 The fundraiser generated nearly $17,000 -- about $2,000 more than the 2018 event, said Lori Limbacher, event chair. “We had to turn people away,” Limbacher said, adding the fundraiser also attracted a record number of sponsorships. 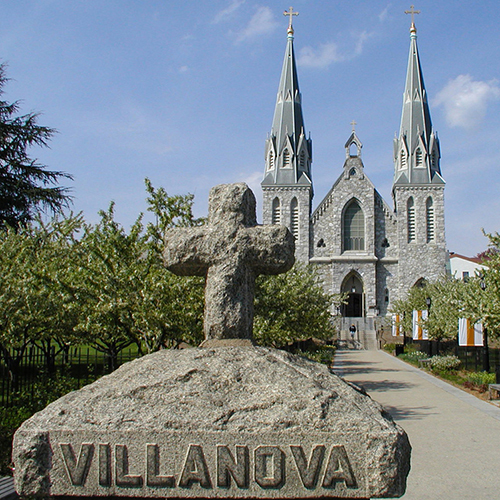 Villanova University is offering a Master of Science in Church Management, available largely through distance learning. Students recommended for the program from the Diocese of Cleveland will be eligible for a 50% tuition discount. The Center for the Study of Church Management at the Villanova School of Business is offering the innovative, two-year graduate business program that provides students with a high-level skill set in church management. 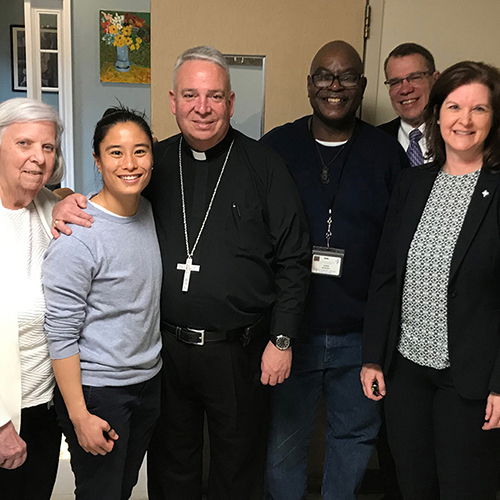 An empty convent near St. Vincent Charity Medical Center found new life serving homeless men with acute medical issues who need ongoing care. The 11-bed Joseph’s Home helps these men, many of whom are in need of or recovering from surgery, going through cancer treatments or stabilizing chronic conditions like diabetes or pulmonary disease. It is the only homeless service provider in Northeast Ohio exclusively focused on medical respite care. The men, who are ready to be discharged from the hospital . . .
Register for Our Lady of Peace Parish's "Run for Peace" online or in person at 8 a.m. on April 28 in Cummins Hall. The race begins at 9:15 a.m.
Make plans to attend one of the three First Friday Club luncheons in the Cleveland diocese. The Cleveland club will meet at 11:30 a.m. on May 2 to hear a talk on euthanasia prevention. The Akron group will gather at 11 a.m. on May 3 to listen to a couple make a presentation on grieving from pain to purpose. The Lorain county forum will meet at 11:30 a.m. to hear three brothers who are priests in the Diocese of Cleveland talk about kitchen table faith.